Every time TREK or TRails to Empower Kids conducts its handover of donations, we usually start our programs with a simple activity of artwork making. We ask the kids, our beneficiaries, to draw their dreams, their environment, and their family - or whatever they feel like drawing! It's an activity where everyone gets involved, from the volunteers, the teachers, and even sometimes their parents and guardians. The kids usually add a thank-you note. 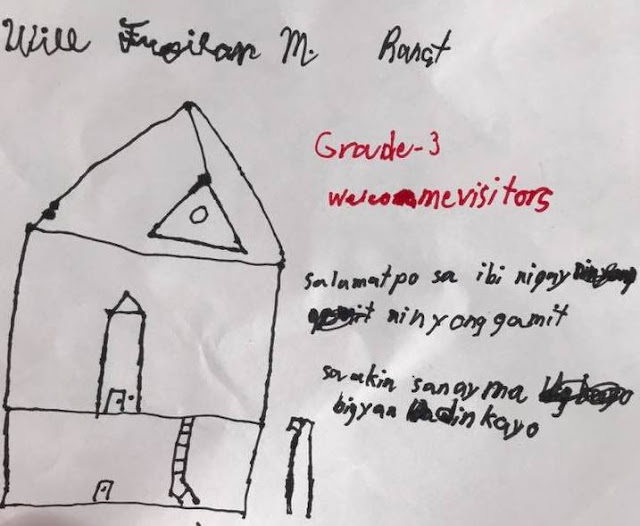 This note, written by Will Froilan Rarat, a grade 3 student, definitely moved me. In all the years we have been doing these outreach activities in the mountains and other remote areas (10 years to be exact), this is the first time a kid asked for something for us. Will is a student of Malibang Elementary Schools, one of the three schools we visited recently in Pudtol, Apayao as part of TRails to Empower Kids or TREK’s 10th anniversary celebration. We are celebrating our 10th year by going back to ten of our partner communities. 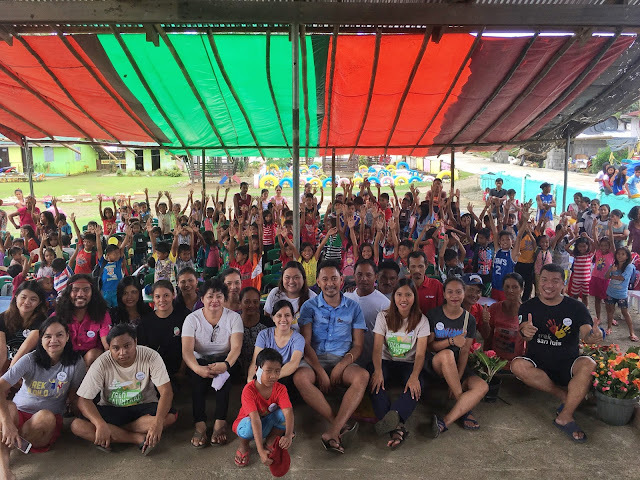 It was my fourth time in Pudtol, Apayao and the group’s second outreach there. 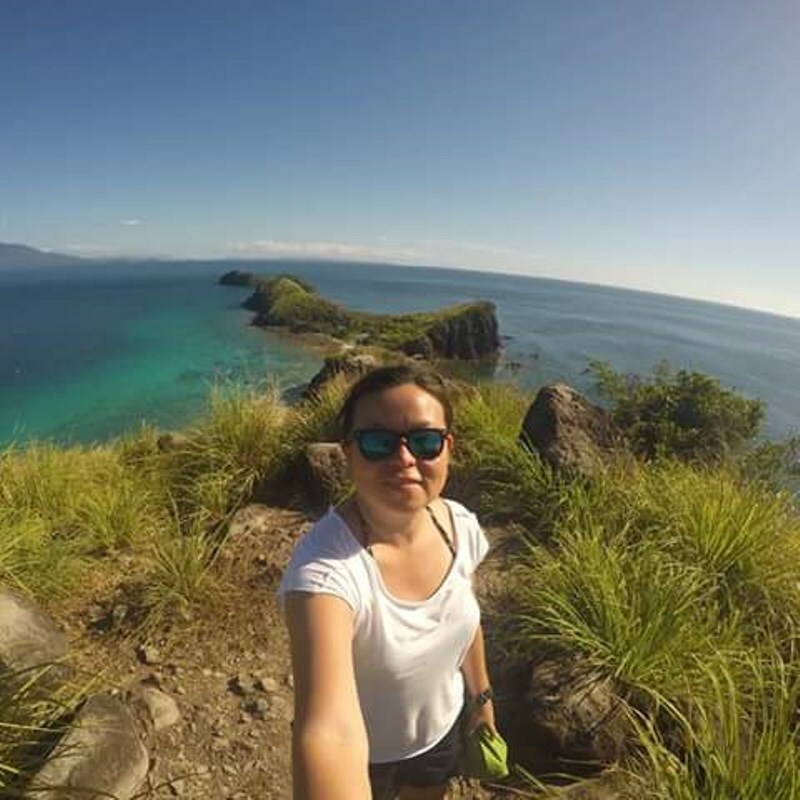 Pudtol is located 753 kilometers from Manila, which is about 12 hours of land travel, not including stop-over. Travel to Pudtol, by itself, was already draining, but we still had to deal with last minute issues. We decided to leave Manila on November 30, a Philippine holiday. We assembled before midnight on November 29. All was well until we noticed that we were not hearing from one of our volunteers who was supposed to bring a van. We called, sent messages, and went to his house. To cut the long story short, by 2AM, we just decided to rent a van. Good thing one was available. We left Manila around 4AM, stressed, tired, and also worried about our volunteer who didn’t show up. We arrived at the school where we would camp around 9PM. By that time, I knew everyone deserved to lie down and rest. But, instead, our volunteers went ahead and started unpacking our boxes; making sure all of the kids’ backpacks were filled with school supplies, raincoats (their biggest request, and for most of the children it was their first ever! ), hygiene kits, and tumblers. We also repacked those packages that would to the other schools we would be visiting in Pudtol. A few times I felt so dizzy I felt like collapsing, but the energies of our volunteers were so infectious. At some point, I was already moving like a robot, and my mind could no longer take simple instructions. But I saw my fellow volunteers pushing on through their exhaustion and just doing what they had to do , and it was inspiring! I am blessed to have these kind of people in my life, and I always pray for their health and safety. But, Will asked for more for our volunteers. He also asked for blessings, which they truly deserve. Not all of our volunteers are rich, yet they choose to spend their hard-earned money paying for all the expenses necessary to join the outreach. They also choose to spend their time free or work leaves helping, instead of vacationing or resting. The other schools we visited in Pudtol, Apayao were Cacalaggan Elementary School and Aurora Elementary School. It was not as difficult as when we first did this trail. There are roads now, unlike before when we had to walk from one school to the other using very muddy trails. The truth is that these schools no longer fall under the TREK qualifications, but we could not drop them knowing how much the kids need and deserve aid. We repeated the same program as our first visit. We had artwork time, meal time, the distribution of gifts, and speeches from the school officials and our expedition leaders. But, in each school, we got different kinds of affection. In our last school, it rained hard. Our volunteers played in the rain with the kids and it was a fun sight to watch: the kids and volunteers are my inspirations. Pudtol is already our 9th stop on our anniversary tour, and though it's still early, I'm already feeling some separation anxiety from these people, but also looking forward to our last trip to Itogon, Benguet, where all our trails began.